Watsonville, CA – During the November 27, 2012 Santa Cruz County Fair Board meeting, directors received a cautiously upbeat update on the current financial state of Fairgrounds along with a glimpse into plans to increase revenues in the coming years. The board also set the dates of the 2013 Fair and approved the establishment of a community garden. 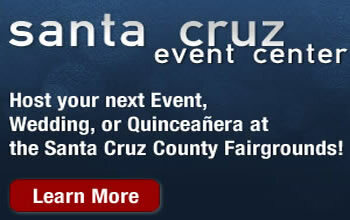 Next September 10th through the 15th will cover the six days of family fun that will be known far and wide as the 2013 Santa Cruz County Fair. “We are already in negotiations to bring another round of exciting new attractions to next year’s Fair” interim manager Dave Kegebein reported to the board. In collaboration with the Fairgrounds and AHP’s Yesterday’s Farm Education Program, MVG will install and manage a community garden in the area between the on grounds preschool and Ocean Speedway. As part of their contribution, the Fairgrounds is donating the use of the land for the garden.